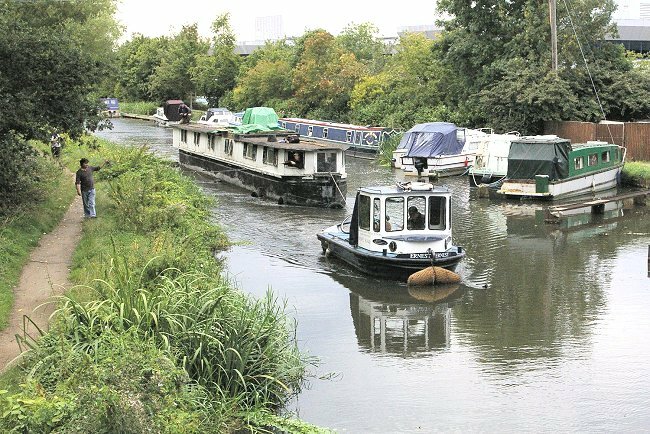 A highly unusual movement took place on the River Wey Navigation on 6th September 2010 when the tug 'Ernest' towed house boat 'Joan Marshall' to Laleham Reach for repairs. 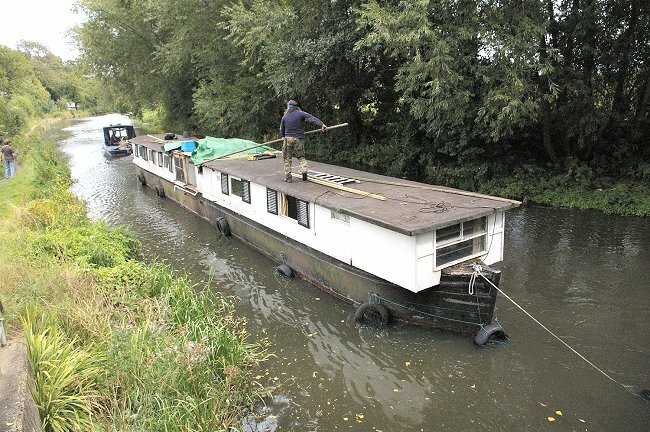 Seen here approaching Pelican Wharf, having just navigated Coxes Lock and passed under the railway bridge. There were times when the tug 'Ernest' did not look powerful enough to haul this large vessel, but in reality it seemed to have no problem at all. Pelican Wharf 6th September 2010. 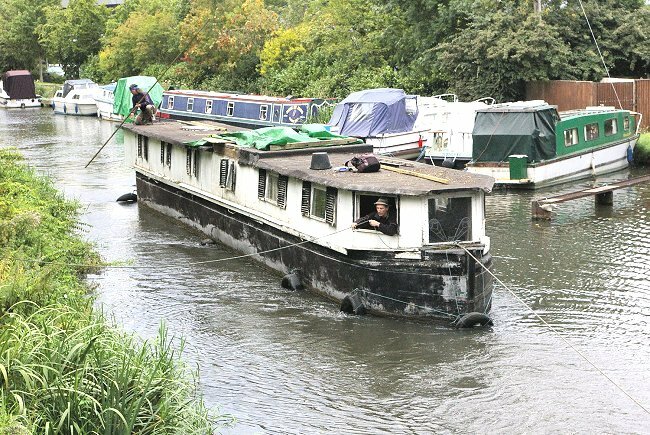 It is understood that the 'Joan Marshall' began as a commercial barge on the Birmingham Canal Navigation (BCN) network and that she was one of a handful of barges sold to a Surrey boat builder for conversion into house boats. Pelican Wharf 6th September 2010. 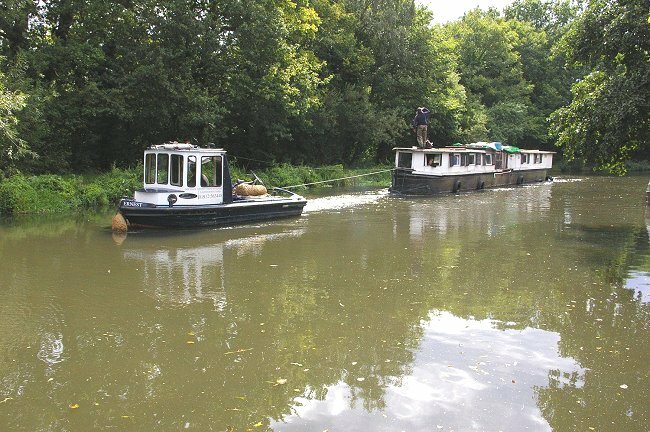 The tug 'Ernest' and "'oan Marshall' at Pelican Wharf. 6th September 2010. 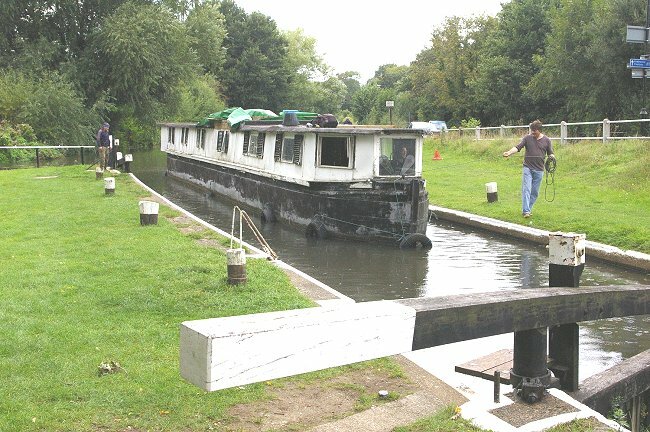 Here we see the starboard side of 'Joan Marshall' as she is brought round the curve. 6th September 2010. 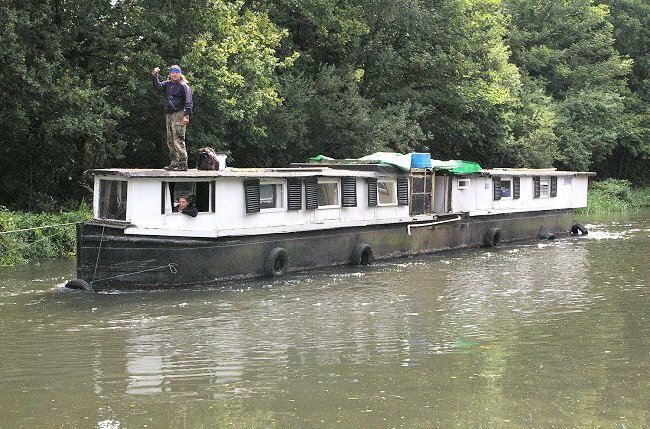 The stern of 'Joan Marshall', seen from the port side as the vessel rounds the curve on the approach to Weybridge Town Lock. 6th September 2010. 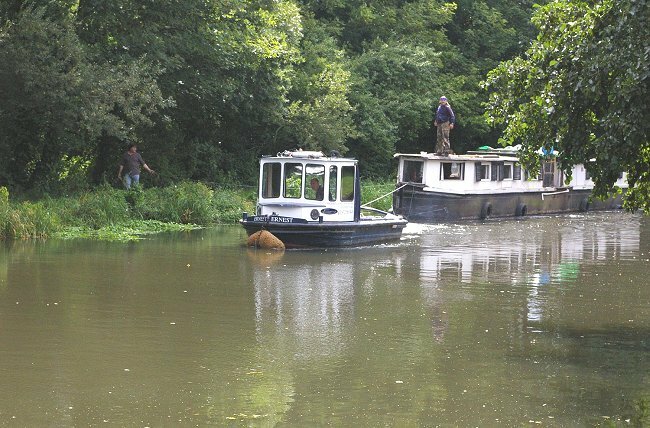 The tug "'Ernest' has moved to the rear of the 'Joan Marshall' in preparation for the propelling movement into Weybridge Town Lock. 6th September 2010. 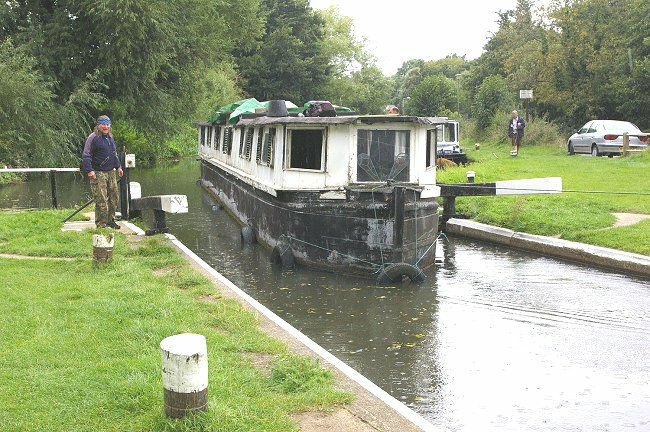 The 'Joan Marshall' gently enters Weybridge Town Lock. 6th September 2010. 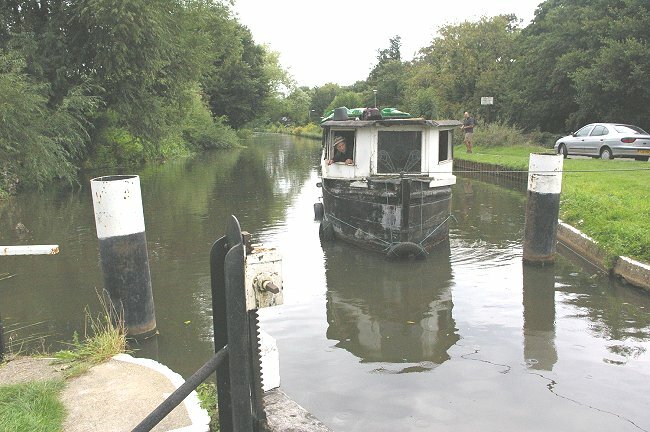 It rains while 'Joan Marshall' passes through the gates of Weybridge Town Lock. 6th September 2010. 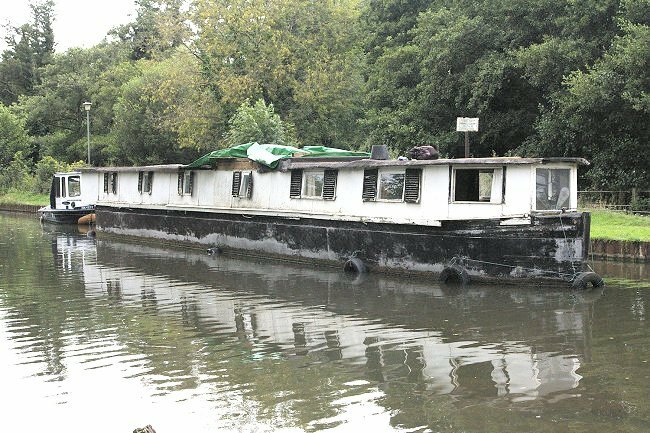 A final look at 'Joan Marshall' in Weybridge Town Lock, on her way to Laleham Reach for renovation.